VANCOUVER , Oct. 3, 2018 /CNW/ - Golden Reign Resources Ltd. (GRR.V) ("Golden Reign"), Marlin Gold Mining Ltd. (MLN.V) ("Marlin") and Sailfish Royalty Corp. (FISH.V) ("Sailfish") are pleased to announce that they have filed their respective management information circulars and related proxy materials with the applicable Canadian securities regulators, and have mailed such materials to their respective shareholders in advance of their respective shareholder meetings each scheduled for October 30, 2018 . The special meeting of shareholders of Marlin is scheduled to be held at 1:00 p.m. (Pacific time) on October 30, 2018 , at the offices of McMillan LLP, Suite 1500-1055 West Georgia Street, Vancouver, British Columbia V6E 4N7. The annual and special meeting of shareholders of Sailfish is scheduled to be held at 1:30 p.m. (Pacific time) on October 30, 2018 , at the offices of McMillan LLP, Suite 1500 – 1055 West Georgia Street, Vancouver, British Columbia , V6E 4N7. Your votes are important regardless of the number of shares you own. 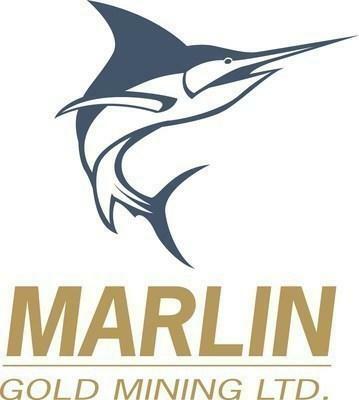 Golden Reign, Marlin and Sailfish encourage their respective shareholders to read the meeting materials applicable to them in detail. Electronic copies of the respective management information circulars are available under the issuer profile of each company on SEDAR at www.sedar.com, and also available on each company's website. Forward-Looking Statements: Some of the statements contained herein may be considered "forward-looking information" within the meaning of applicable securities laws which may include, but is not limited to, statements with respect to the anticipated shareholder meeting dates and times. Often, but not always, forward-looking statements can be identified by the use of words and phrases such as "plans," "expects," "is expected," "budget," "scheduled," "estimates," "forecasts," "intends," "anticipates," or "believes" or variations (including negative variations) of such words and phrases, or state that certain actions, events or results "may," "could," "would," "might" or "will" be taken, occur or be achieved. Forward-looking information is based on certain expectations and assumption that are considered reasonable at the time, however undue reliance should not be placed on the forward looking information as the companies can give no assurance that they will provide to be correct. As forward-looking statements address anticipated future events and conditions, such forward-looking information is subject to a variety of risks and uncertainties which could cause actual events or results to differ materially from those reflected in the forward-looking information, including, without limitation, the risk that the shareholder meetings are not held on the dates anticipated or are adjourned for any reason to a later date, and other risks and uncertainties including those discussed in each company's disclosure documents which can be found under each company's profile at www.sedar.com.